Our purpose is longer, healthier, happier lives. We deliver this in partnership with healthcare professionals like you. We can help you and your organisation depending on the type of work that you do. We’re here to help you get your invoices paid promptly. We work with a range of professionals to support patients through the whole healthcare journey. We’re a global health and care company, and our purpose is longer, healthier, happier lives. In the United Kingdom, we offer health insurance and other health and care funding products, including cash plans and pay as you go services. We also run care homes, and retirement and care villages; offer health assessments, physiotherapy and dental treatment at our health and dental centres; and provide care for insured, pay as you go and international patients at our Cromwell Hospital; as well as providing workplace health services. Find out how we can work together to support your patients. Lines open 9am to 5pm, Monday to Friday. We can help you to build your private practice. Find out how to join around 22,000 recognised consultants who treat our insured patients, how you can promote your practice to them, and how you can practise at our Cromwell Hospital. Grow your private practice. Become recognised to join over 10,000 therapists who treat our health insurance patients, and discover how you can market your practise to patients looking for local appointments. Find out how Bupa services can help your patients, explore our health information and the care options we offer. Learn more about working for us. Helping you to support your patients. From information on making a referral for private treatment, to offering health information and advice, we can help. Helping your clients at home or when discharged from hospital. Tap into our social care expertise and find out how to commission Bupa care home places. Work in partnership with us, find out how we can help you leave behind admin and concentrate on being a dentist. Learn how you can refer a Bupa insured patient for further treatment. Apply for Bupa recognition and join around 1,800 hospitals and facilities already treating our insured patients. Whether you’re a new provider looking to become recognised for treating Bupa patients or a current provider renewing your Healthcare Services Agreement, you can do it online here. We know how important the prompt payment of invoices is to the efficient running of your practice, and we want to support you. There are several easy options to choose from including Bupa’s free e-billing system. Our free, secure website for recognised providers to manage their Finder profile, contact details, billing, and statements. You can now submit your invoices to us simply and securely online. Find out how you can use our expertise to help your patients, we’ve a wealth of information on topics including healthy living, cancer diagnosis, controlling diabetes, and dementia care. If your patient has our health insurance or wants to pay for their own private treatment, they may ask you to refer them to us. Find out how. Finder is our online directory of Bupa recognised consultants, therapists and facilities across the UK. It allows customers, GPs and the general public to find a Bupa recognised provider and see where and when they practise, and how to reach them. 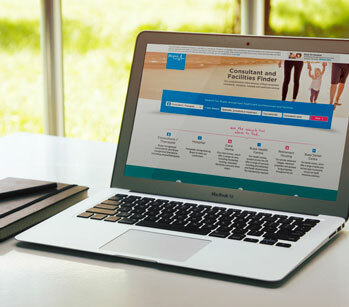 If you’re Bupa recognised, you already have your own personal Finder profile page. With more than 70,000 visits every week, your profile is a free way to market your practice or facility as most traffic to the site comes from search engines like Google.